Kitten Rescue is an Official Charity of the 2018 Skechers Performance Los Angeles Marathon for the 7th year in a row! The Los Angeles Marathon is one of our biggest fundraisers of the year and we need YOUR help to make this the most successful year ever. 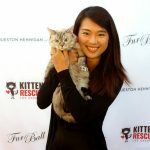 On March 17–18, 2018, a team of animal lovers will join together in three separate “Team Kitten Rescue” races to participate in The LA Big 5K, The Charity Challenge and The LA Marathon. 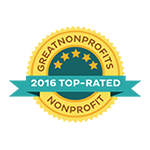 Why join Team Kitten Rescue? Because the animals need you! 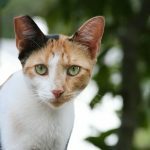 If you walk or run the marathon for Team Kitten Rescue, you will be able to raise money to save the lives of homeless cats and dogs. If this will be your first marathon, we assure you that it will be an incredibly rewarding and transformational experience — so it’s a win-win for you and the animals. And no experience is necessary! Whether you are a seasoned marathoner or a couch potato who has never exercised, we would love to have you on our team. Join One of Our Three Teams! Participants of all ages are welcome to join us for this fun morning as we walk or run around scenic Elysian Park in the Big 5k. Team members have the option to have their face painted like a kitty. Don’t forget your kitty ears! Course: Click here to see the course map. Not ready to run a full marathon? Run or walk the first or second half of the Marathon in The Stadium vs. The Sea Charity Challenge! 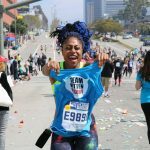 This half marathon experience is only available to Official Charities of The Skechers Performance Los Angeles Marathon like Kitten Rescue, and spots are limited. Course: Participants run either the “Stadium” portion (first half 12.9 miles) or the “Sea” portion (second half 13.3 miles) of the Los Angeles Marathon. The Skechers Performance Los Angeles Marathon takes runners on a 26.2 mile course through the beautiful and culturally diverse city of Los Angeles, starting at Dodger Stadium and finishing at Santa Monica Pier. Course: One of the most scenic marathons in the world. Starts at Dodger Stadium and finishes near the Santa Monica Pier. Click here see the course map. Contact our Team Coordinator to learn how to register for the LA Marathon with our special registration link. What Do Kitten Rescue Runners/Walkers Receive? What Is Expected From Our Runners/Walkers? Spread the word! Email, tweet, post on social media, distribute flyers. We give you pre-built templates, social media messages and your own fundraising page to make it easy! 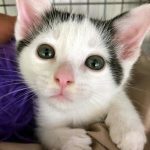 Want To Join Team Kitten Rescue for the Marathon? Awesome, because we need that too!